Durmast House is a handsome property reached at the end of the drive. The house is set in 4 acres of garden designed by the famous Edwardian designer Gertrude Jekyll and which is listed in the Hampshire Register of Historic Gardens. Guests are welcome to wander around the garden. This comfortable flat has accommodation on two levels and is a generous size. From the entrance hall is a fully equipped kitchen with a breakfast table and four chairs. On the first floor there is a large sitting room with a three piece suite and a more formal area. Adjacent is the bedroom with double bed and fitted wardrobes with an en suite bathroom. 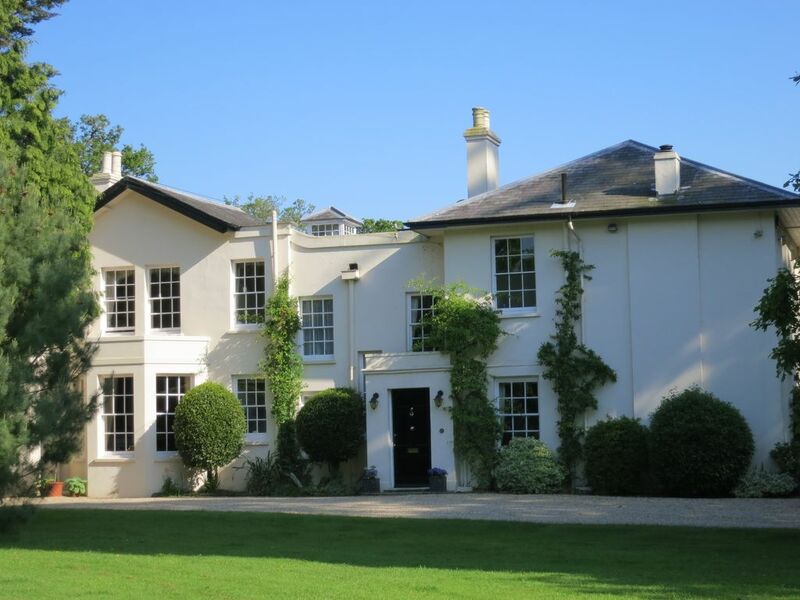 Durmast House is set in the beautiful New Forest area of Hampshire. There are many walks across the heaths and forests. The sea is not very far away with lovely views across the the Isle of Wight. The gardens of Durmast House are widely regarded as being a typical example of Gertrude Jekyll's English style garden design. The gardens are open fro charity twice a year under the National Garden Scheme. A fabulous flat within a wonderful house with gardens most people dream about. Surrounded by the New Forest in all its glory. A lovely apartment in a beautiful character house. Big high ceilings period furniture warm and comfortable and right in the heart of the New Forest with a pub next door. What more could you want? Fantastic location and lovely comfortable well appointed flat. I will definite make a return visit. Flat very well equiped & comfortable.Glorius setting.A week wasn't long enough! The apartment was clean and comfortable. Our main reason for staying here was to see the garden and it didn't disappoint. Margaret and Philip were giving of their time to show us the garden, explain it's history and we were able to wander at will. They are two very lovely people with two very friendly dogs. The village of Burley is in the centre of the New Forest in beautiful countryside with many interesting walks through the forest with an abundance of flora and fauna and an excellent area for bird watching. Several stables for horse riding are nearby and a golf course very close. Bicycles can be hired in the village. A day's visit to the Isle of Wight ferry is fun, the boat leaves from Lymington which is about eight miles from Durmast. The beaches are within six miles drive. Christchurch Town with the Abbey and harbour is about 5 mile's drive. Bournemouth and Southampton are equidistant, about 12 miles where there are larger shops, theatres and the Winter Gardens for music in Bournemouth. There are many lovely gardens to visit such as Mottesfont Abbey, Exbury Gardens, Hilliers, Cranborne Manor. Macpennys, Spinners and many others.